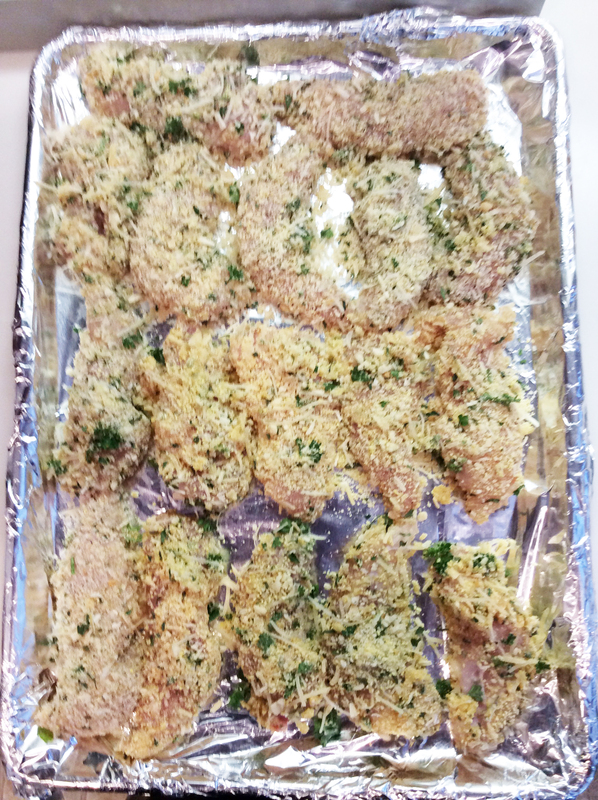 We were so blessed this month to have Lalu make her pièce de résistance, “Lalu Chicken!” It’s chicken tenders in a delicious parmesan crust. Yum! 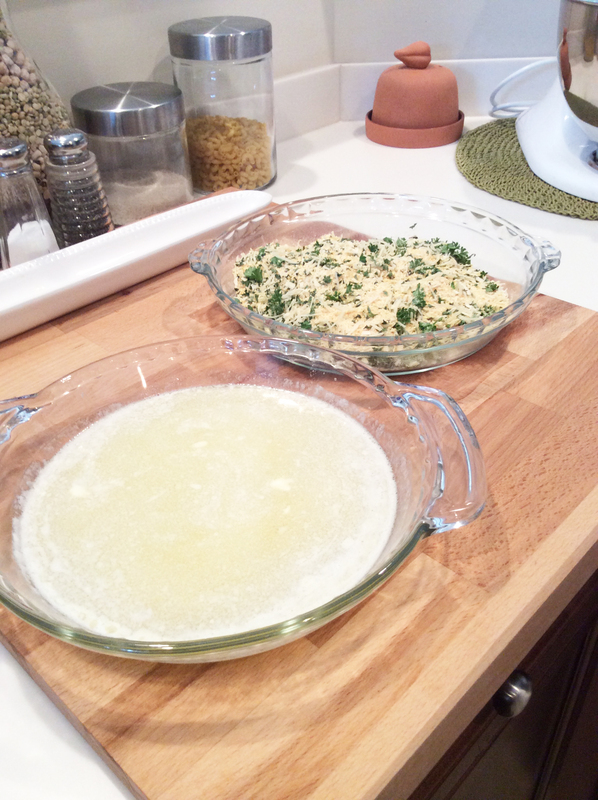 First, mix all dry ingredients (including the cheese) together in a bowl and melt the butter in a separate bowl. 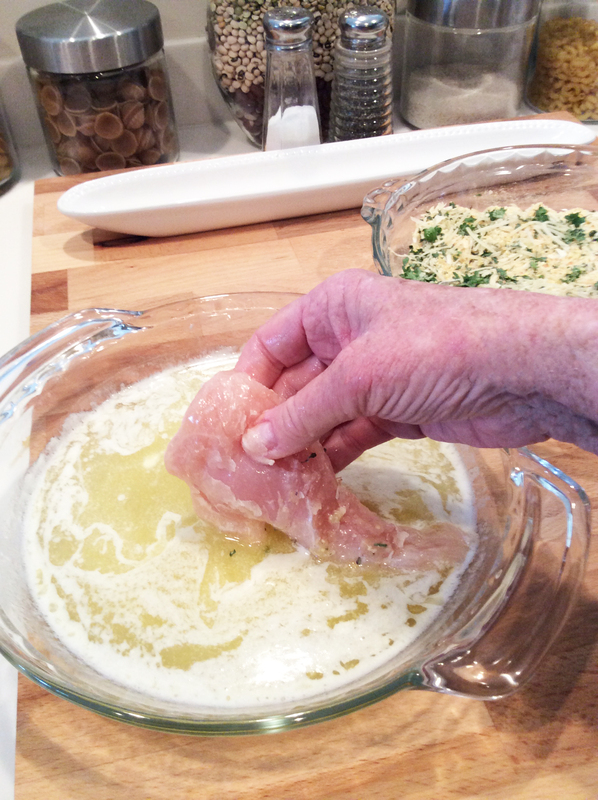 Dredge the chicken in the melted butter first, then in the dry ingredients mix (both sides). 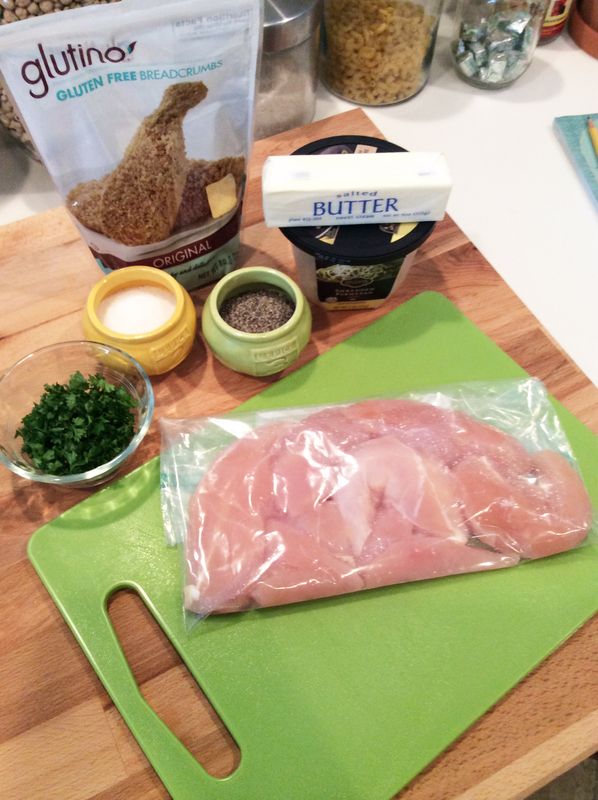 Put coated chicken onto a well greased pan, or a pan with tin foil (also greased). 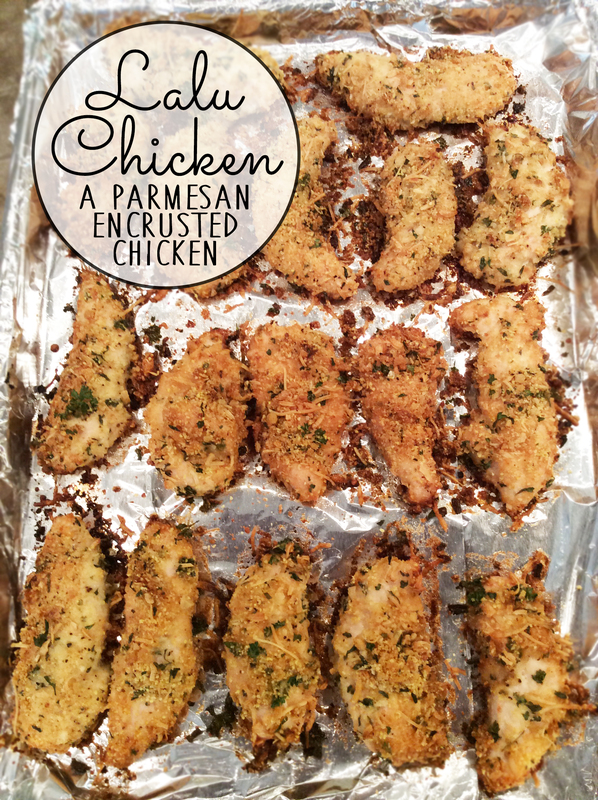 Stick it in a pre-heated oven at 350 degrees and bake for 25-30 minutes, or until golden brown. And there you have it! 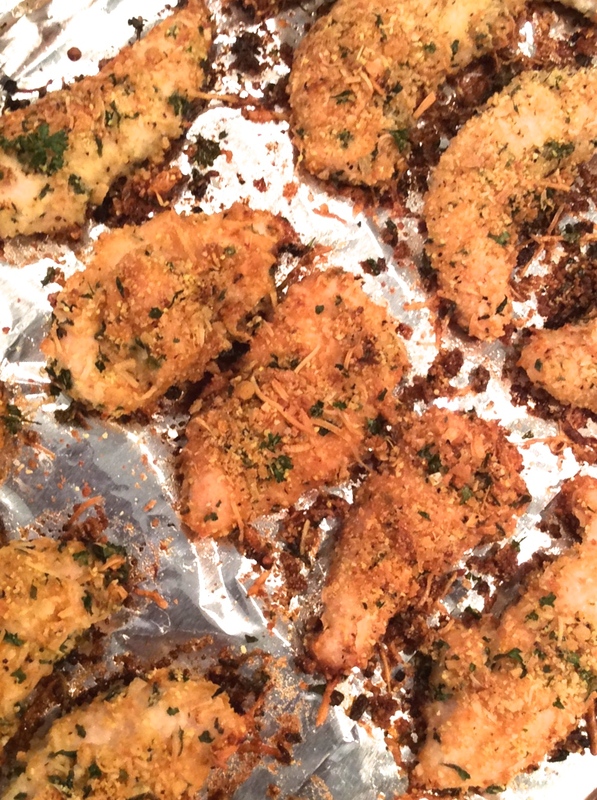 We served it up with the best sweet potato casserole you’ll ever have, and some grilled zucchini. Topped it off with delicious grilled peaches and vanilla ice cream (see the recipe here!). Such a great meal!